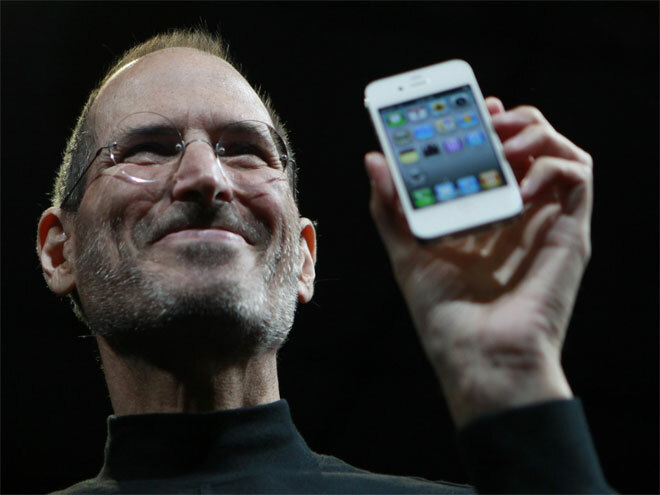 The world was stunned when the seemingly-invincible Apple Founder, Steve Jobs, passed away just two days ago. Over 2.5 Million tweets were sent in only 12 hours after the sorrowful news spread, so perhaps it is fitting that over 50% of these messages have been sent from the very devices that Jobs has introduced to the world, 42% of which originated from iPhones. 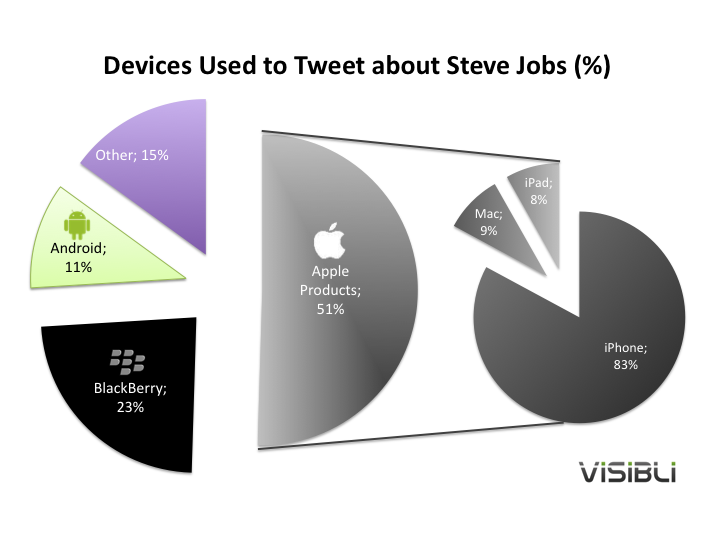 A study by Visibli, a Social Marketing and Analytics platform that helps you optimize your social media engagement, reveals that of the 3 million users tweeting about the passing of the revolutionary technology leader, 51% were sent from Apple products, 23% from Blackberries, while Android took an 11% cut of the pie — and 15% from other miscellaneous devices. This is very telling of the impact that Jobs had both within and outside of his own ecosystem. iPhones, Macs, iPads — these are the devices responsible for the spread of the news via Apple gadgets, perhaps an unknowing tribute to the former Apple CEO. 83% of users spreading the news via an Apple device were using their iPhones, with 9% using Macs and 8% on their iPads. I want to know: What device did you spread the tragic Steve Jobs news from? Were you a part of the 50%+ technology consumers using an Apple gadget to broadcast the word? Sound off in the comments.